Jo Ann’s and I did! 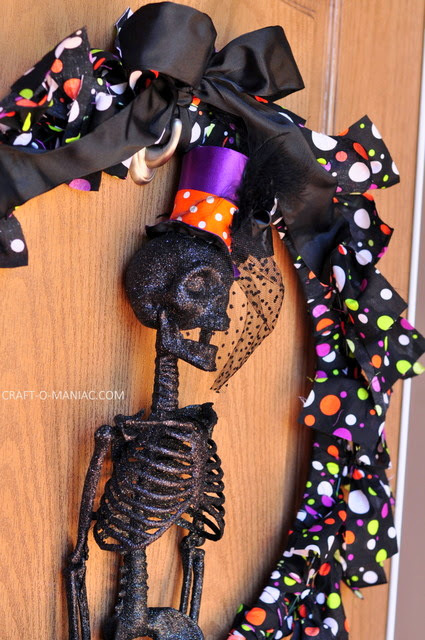 She now is one super happy skeleton, that gets to greet visitors that come to my front door. 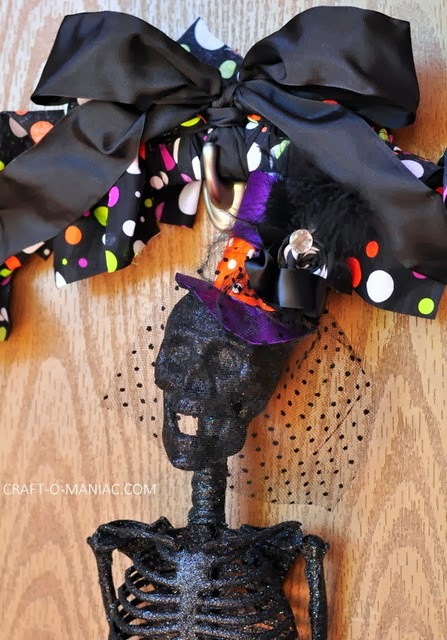 Before I put Mable on my wreath and placed her on my front door, I had to embellish a cute hat for her, and dress up my wreath form. So let me share some pictures with you along with a tutorial. 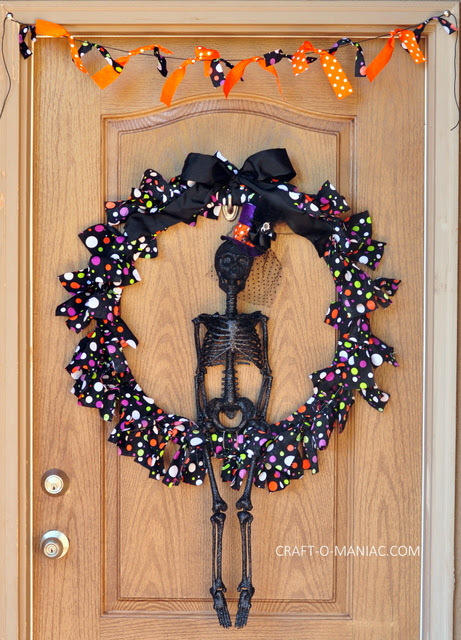 Start by– wiring your two wreath frames together with the bubble sides out. I wired my wreath in 5 different places. 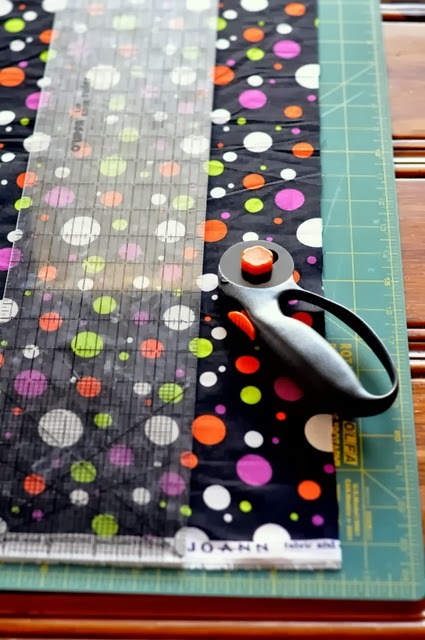 Next cut your fabric into the size as indicated above in the supplies needed. 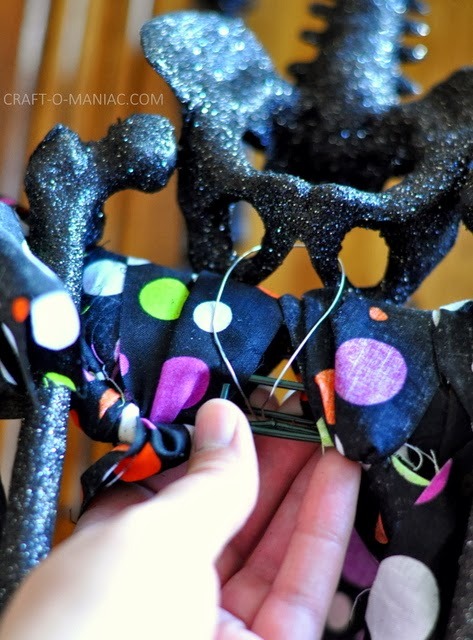 Then wrap each piece around the wreath form and loop the fabric through. 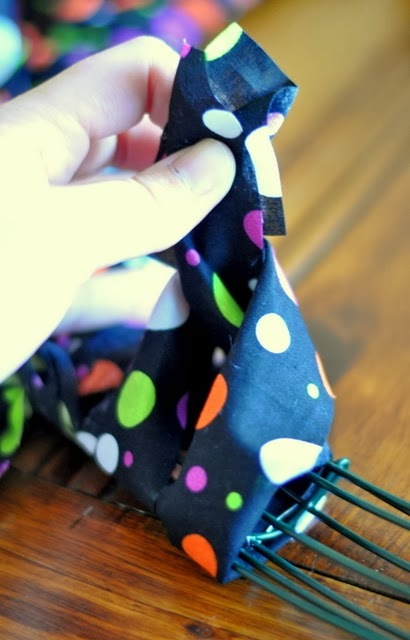 Then tie it off with a knot. 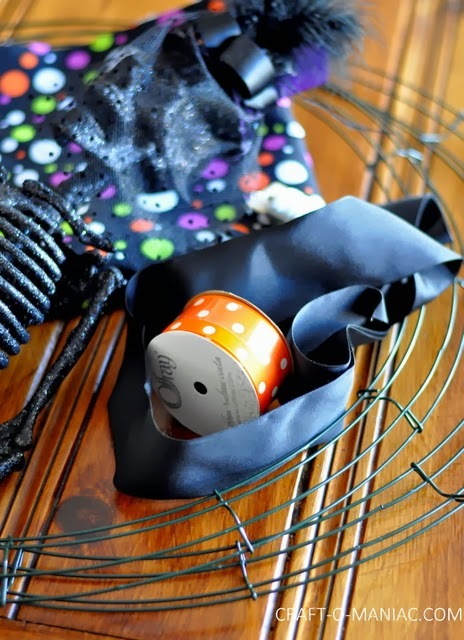 Continue looping the wreath form with your fabric until your wreath is full. 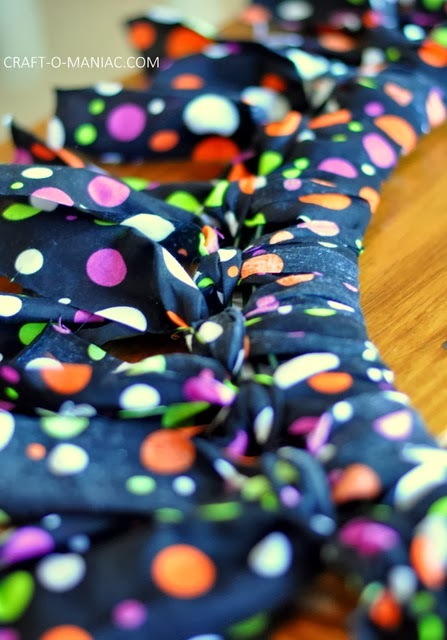 Fluff out your tied knots. 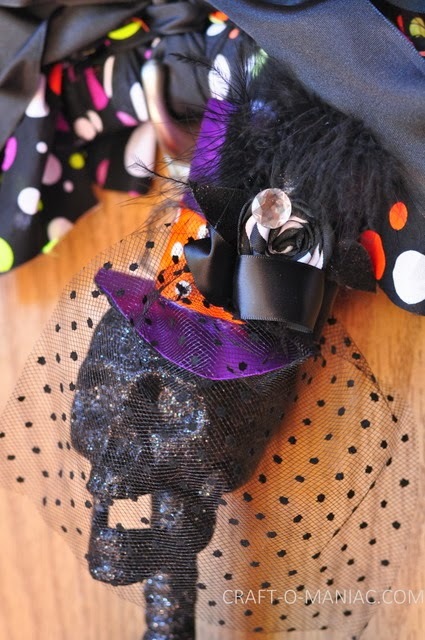 Next I took a cute “Top Hat Headband” and I removed the headband part. 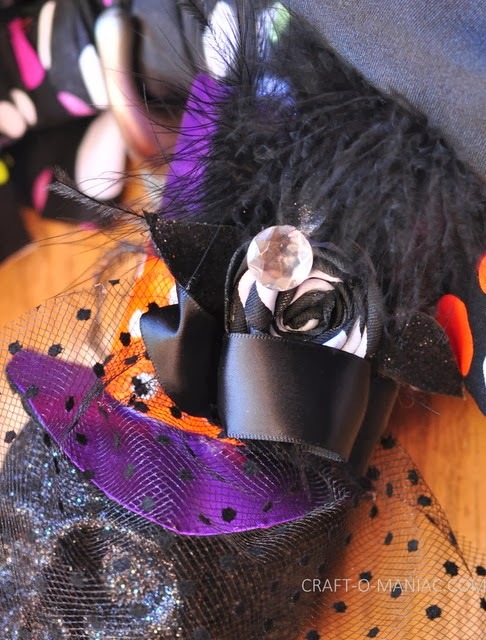 I embellished the top hat with a rolled black and white rosette, glittered leaves, a faux rhinestone and some cute grosgrain orange polka dot ribbon. I glued the hat to the top of Mables head and then glued the top of the hat to the underneath of the “fabric” wreath form. The very last thing I did was add the large black ribbon bow to the top of the wreath. 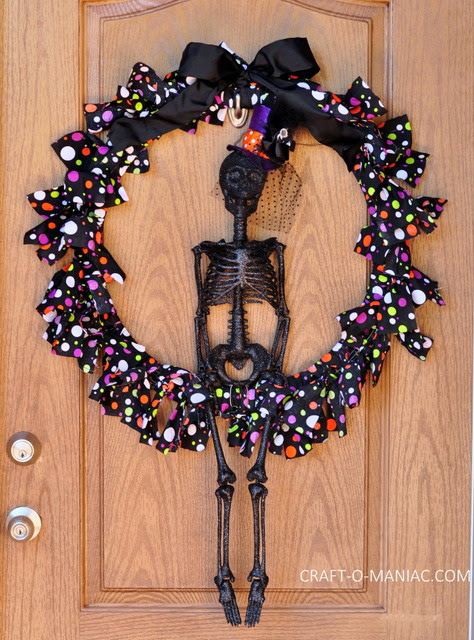 I am just tickled with this wreath! 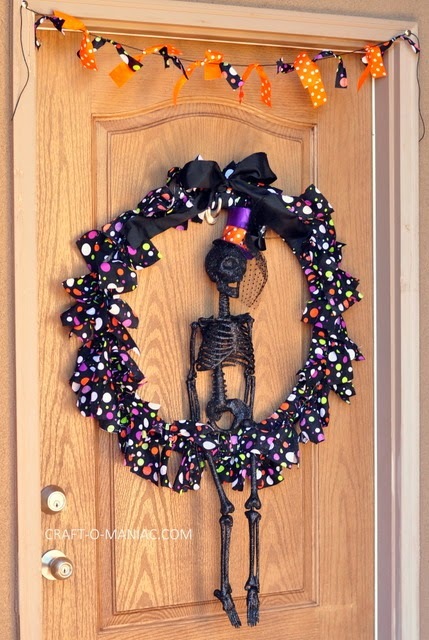 Eeeeee, Mable is my new friend and I sure love how big the wreath is and look’s on my front door. 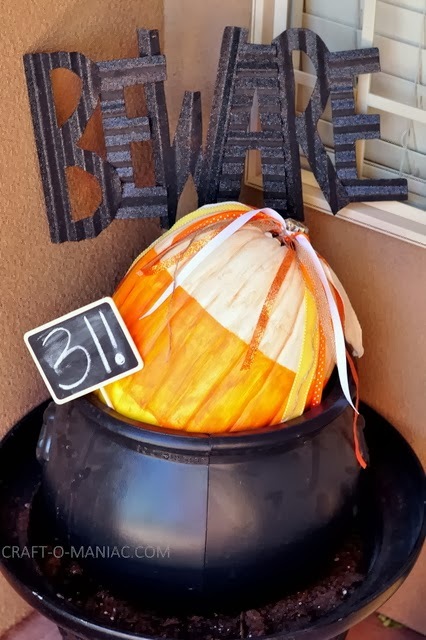 Do you all have your Halloween up? 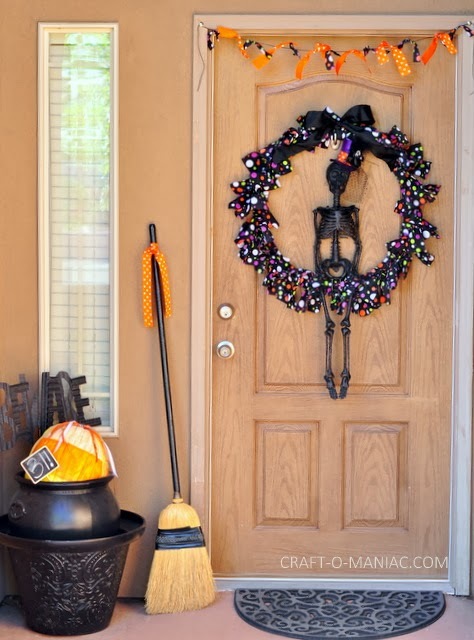 or your door(s) decorated? 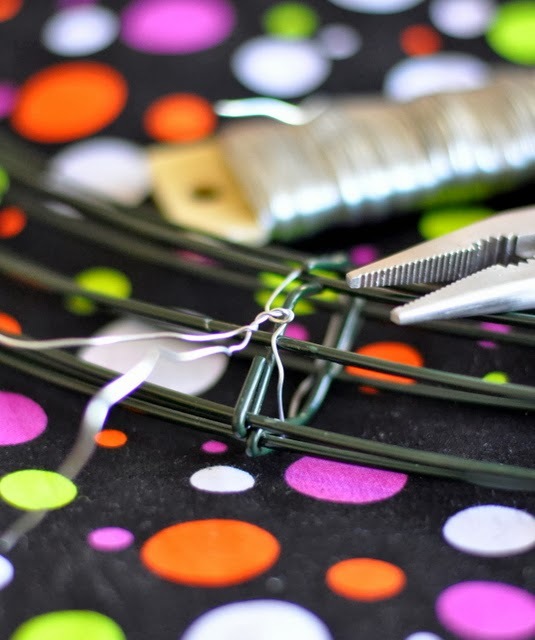 Well here is a great Jo-Ann’s coupon to use and help you out on your next crafting adventure.